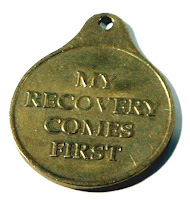 The process of recovery is different for everyone, while the methods may be similar across the board, the experience of changing one’s life can have its own individual meaning. That being said, the Substance Abuse and Mental Health Services Administration (SAMHSA) has been working over the last year to come up with a comprehensive definition that would encompass recovery for both mental disorders and substance abuse. "Over the years it has become increasingly apparent that a practical, comprehensive working definition of recovery would enable policy makers, providers, and others to better design, deliver, and measure integrated and holistic services to those in need," said SAMHSA Administrator, Pamela S. Hyde. "By working with all elements of the behavioral health community and others to develop this definition, I believe SAMHSA has achieved a significant milestone in promoting greater public awareness and appreciation for the importance of recovery, and widespread support for the services that can make it a reality for millions of Americans." Health: overcoming or managing one's disease(s) as well as living in a physically and emotionally healthy way.